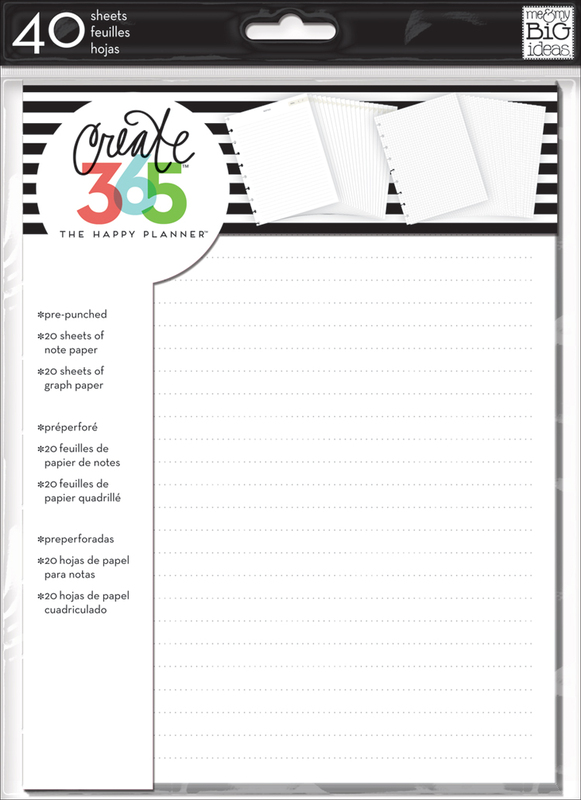 The Happy Planner®'s capabilities for customization makes it the perfect tool to help you stay organized for ANYTHING. Anything? Yes, ANYTHING! Today we're sharing how two of our Design Team members used the system to aid them in their 'BIG MOVE'. 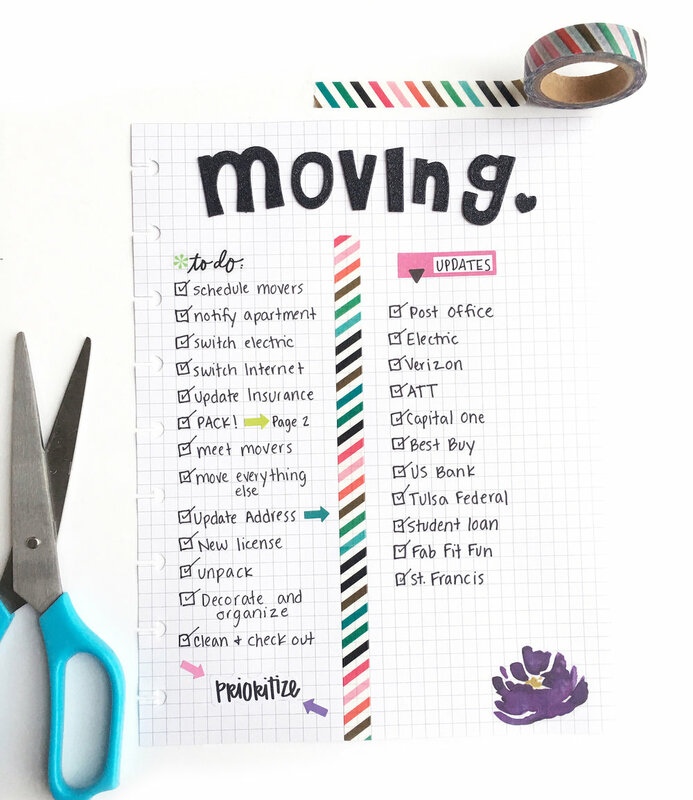 Design Team member Katie Barton (IG | blog) created a 'moving' page with Happy Planner® grid paper to list all the things she needs to get done before moving day, while Design Team member Chantal Kuaea (IG | blog) created 'home inspiration' pages using The Happy Planner® Punch and Happy Planner® Page Protectors. "One of my favorite things about The Happy Planner™ is that I can easily add and remove note pages for organizing whatever is happening in my life. I'm constantly switching out note pages to make my planner as functional and relevant to my life as possible. Today I want to share how I used grid pages to add a little structure to my recent move. 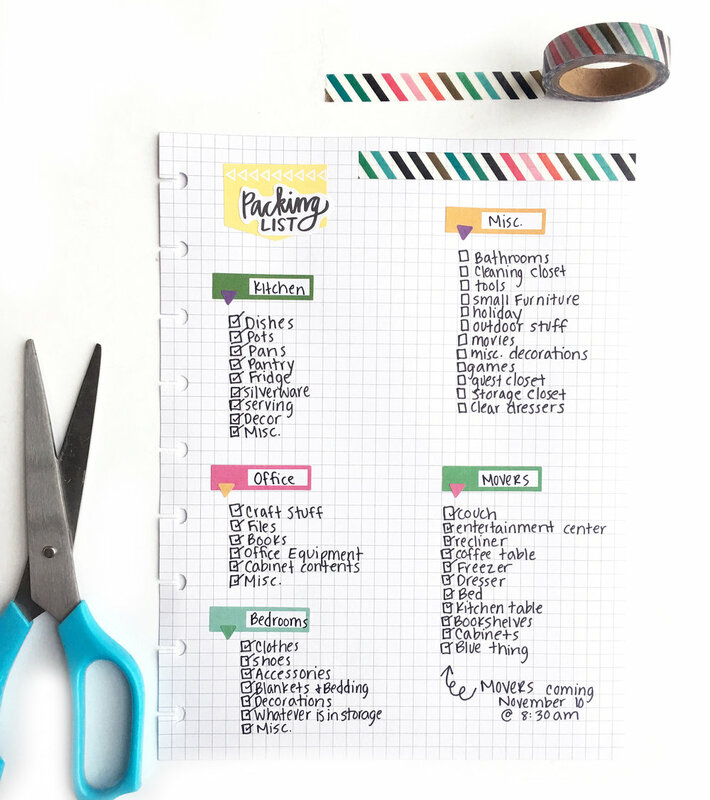 This is pretty much how I organize every big project in my life, so even if you're not planning a move maybe you can take some inspiration from this post and apply it to whatever big project is looming in your life." 1. Start with one master list. For me, a big part of organizing a big project is getting everything down on paper so I can see all of the moving pieces. I get started by writing out everything I had to do related to the move into one master list. When I'm writing my list sometimes I'm very specific and other times I'm really broad. Generally, I get more specific and detailed when I think I might forget something. 2. Create sub-lists for big pieces of your project. A few of the things on my list (changing our address + packing) were big projects that I broke down with their own lists. Some times I have a lot of sub-lists, and some times I have just a couple. In addition to to-do lists, I include things like shopping lists, deadline lists and instructions. 3. Make it cute, but keep it practical. I firmly believe that I'm most productive when my notes are cute, so I added color with mambi stickers and washi tape. I try to use things that enhance the organization, and that's really easy to do with Happy Planner™ stickers! If you're wondering, this wasn't the first draft of my list. I almost always re-write major lists like this, because the first draft is never as organized as I want it to be. When I'm re-writing, I use the opportunity to put things in the order that makes most sense to me. 4. Have a space for brain dumping. Almost every project comes with random tid bits of information that need to be remembered, but don't really fit into a category. I also had a third sheet with our new address that I used as a catch all space for notes related to our move. I wrote down pin numbers, changes to account numbers and things we needed to do to get everything switched over. "After 'Demolition Day' came and went, it was finally time for the fun stuff: decor planning! I had a blast using The Happy Planner® to organize my inspirational clutter and turn my vision into a real tangible ‘look book’ for decor and furniture planning. I consider this to be my Frankenplanner - as it really isn't made out of one particular Happy Planner®, but a combination of the monthly pages, expander discs, note paper, graph paper, dividers, dashboards and held together with a decorative cover." "I used the gold foil dividers to create sections in my book for each room, the titles for each divider are created with Avery clear return address labels. I also use these labels for placing inspirational words on some of my photos (no, that is not my handwriting but I really wish that it was!). I included paint swatches and information pieces such as the floor plan by using The Happy Planner® Punch. I LOVE the fact that I can punch anything (paper) and incorporate it into my planner. The dashboards are used for section markers, the book is broken up into notes/to do, decor inspiration and a scrapbook/memory planner. I plan to continue to take pictures of the home as it is built and look forward to viewing a month by month progression as the house is finished." Shop some of the supplies Katie & Chantal used by clicking on items below.